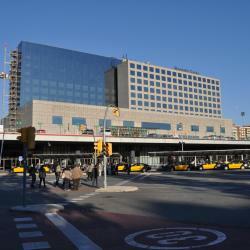 Looking for hotels near Diagonal Metro Station? Situated 330 ft from Fontana Metro Station in Barcelona's popular Gracia district, Aparthotel Silver offers a 24-hour front desk, a bar and a terrace. Rooms include free Wi-Fi and a kitchenette. Very nice and clean place, close to the metro station, very friendly staff. Majestic Hotel & Spa Barcelona GL offers luxurious accommodations in a neoclassical building on Passeig de Gràcia. It features a spa, rooftop swimming pool and a terrace with amazing views of the... Beautiful, overall clean, very quiet apartment with access to all the services of the hotel. Set on Barcelona’s fashionable Passeig de Gràcia, the luxurious Mandarin Oriental Barcelona is within 5 minutes’ walk of Gaudi’s Casa Batlló and La Pedrera. The welcome and the friendly staff and valuable advice. 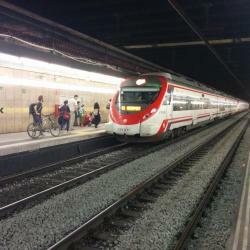 Hotels with great access to Diagonal Metro Station! HG City Suites Barcelona is located on the edge of Barcelona’s popular Gràcia district, 984 feet from Fontana Metro Station. Brand new property with very clean and spacious room. 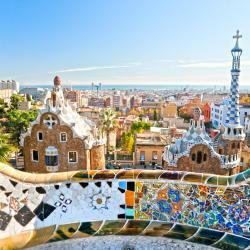 Murmuri Barcelona is set on Barcelona’s charming Rambla de Catalunya Boulevard, surrounded by shops and pavement cafés. We did not eat at the restaurant although we were told it was quite good. Hotel Condes Barcelona occupies a 19th-century building on Passeig de Gracia with a seasonal rooftop pool and terrace. It features a gym and a sauna. Location was ideal. Rooms were comfortable. Loved set up of bathroom. People are talking about Diagonal Metro Station! Explore guest hotel reviews featuring "Diagonal Metro Station"
a great apartment, excellent location near diagonal metro station (Green line - 2 min), a warm hospitality, the hosts are daily available at their office in the same building, the apartment is highly equipped, with microwave, washing machine and all cooking equipment. we stayed in an apartment with one single bed and one twin bed and that was very good for 3 people. very clean, shower is comfortable and there was always hot water. No elevator to the last floor, but they suggest to help us with the luggage. highly recommended. The fashion is modern, cosmopolitan and on-trend. 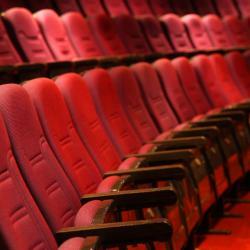 The prices are very reasonable and there are often sales to be found. 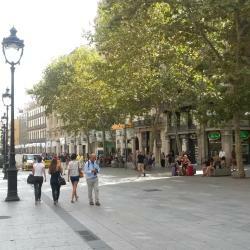 There is a great variety of all shops including many individual bohemian shops in Gracià or Born, vintage shops in Raval, and very high-end fashion along Passeig de Graciá. There are also many large Shopping centres - the largest being La Maquinista, or try Diagonal Mar not far from the beach.